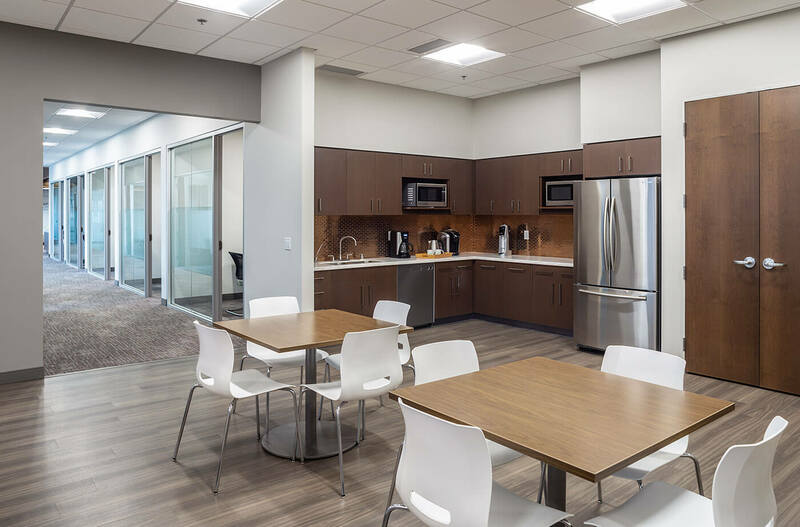 Nexus Solutions, Inc. is a facilities planning firm offering experience and expertise in the development of comprehensive, client-focused facility improvements. They provide these services to high profile clients in the education market including K-12 schools, colleges and universities, as well as for municipalities and industrial facilities. Nexus selected Mohagen Hansen to work with them to design office space for their corporate office relocation. 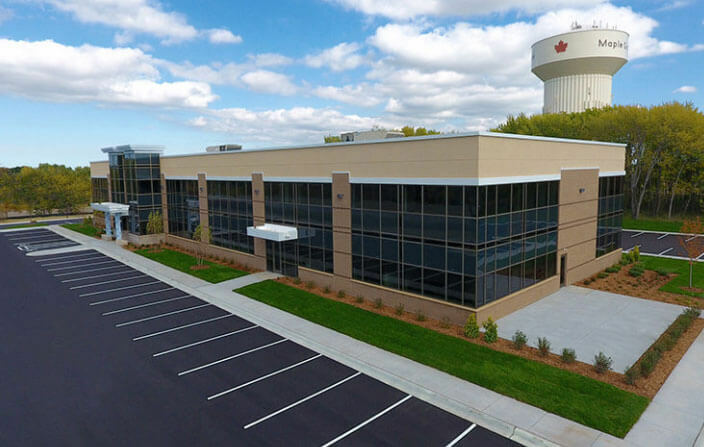 They will be relocating to a new building, also designed by Mohagen Hansen that is located in Maple Grove, MN. 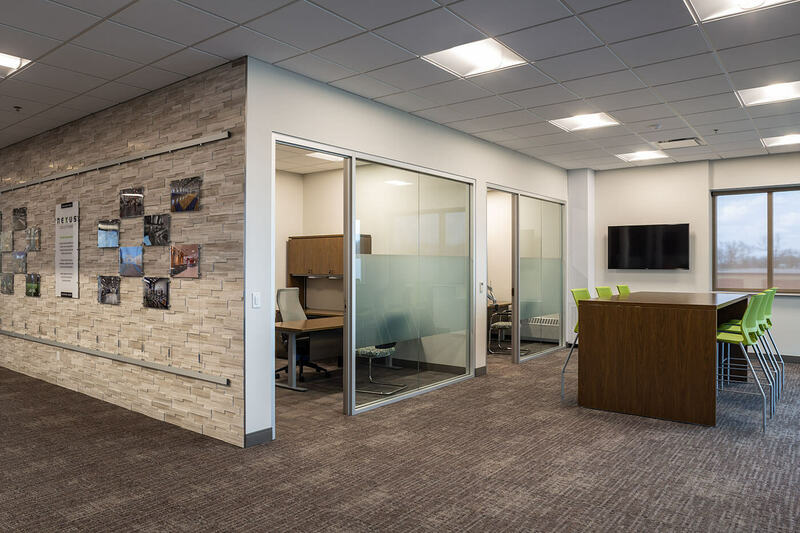 Using Revit, Mohagen Hansen developed a number of 3D design scenarios that helped Nexus envision the final look of their new space. 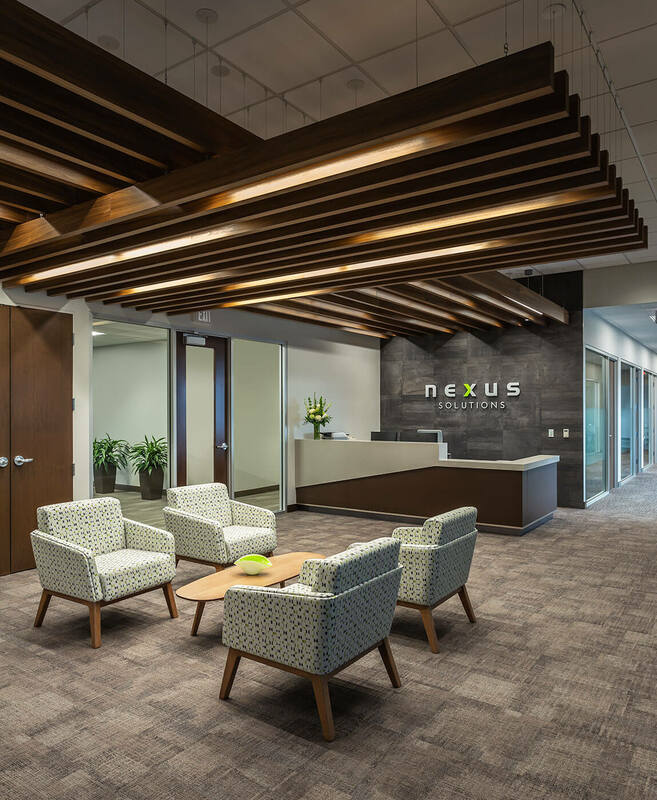 Comprised of primarily offices, workstations, conference rooms, collaboration areas and other miscellaneous spaces, Nexus sought a color palette and design details that were sophisticated to communicate their technical competence, yet not looked upon as overly expensive in the marketplace. 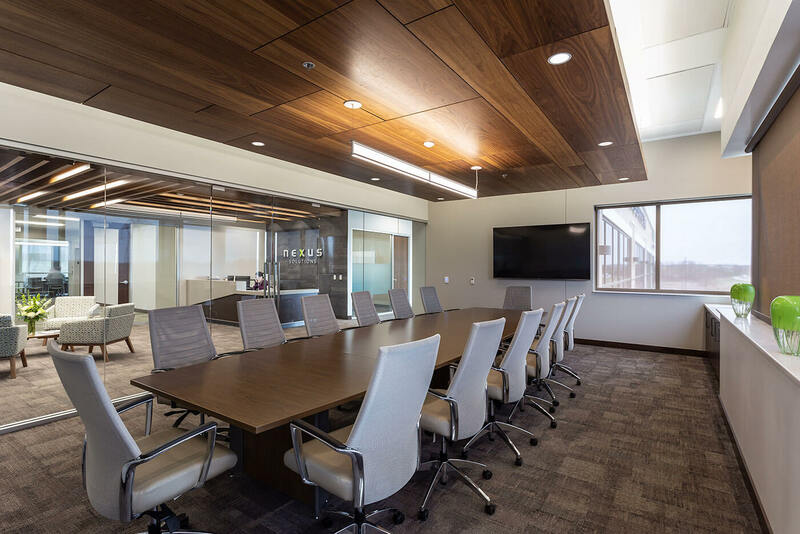 The design solution offers full glass office and conference room fronts along with specialty acoustical wood ceiling details, creating a clean and sleek, yet warm and comfortable palette. Sycamore Commons Barton, Walter & Krier, P.C.